Are you finding it difficult to get hold of paper copies of reading list books at libraries around Oxford? Are you stuck in a long reservation queue to borrow the books you need for revision? Need a book when the library is closed? If the answer to any of the above questions is ‘yes!’, then be sure to check if your books are available electronically. The Bodleian Libraries provide thousands of e-books which can be easily accessed 24/7 through the SOLO catalogue. Search for e-books just as you would for printed books using SOLO. 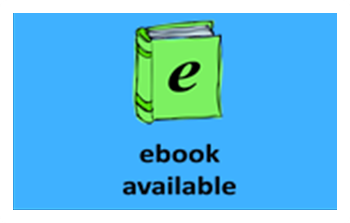 E-book records are highlighted by the records showing [Electronic Resource] after the book’s title and having a ‘View Online’ link which you can click to access the full-text of the book. Just like our e-journals and databases, you can use our e-book collections away from libraries and colleges by using you Single-Sign On password. Some e-book services, such as EBL, also allow you to download books to a tablet or smart phone so that you can carry on reading even if you’re not connected to the net. At the RSL we are highlighting E-book availability by adding stickers to reference copies of printed books on the shelves on Level 2. If you visit the library to find there isn’t a lending copy of the book you want to borrow, these stickers will remind you that this title is available as an e-book.